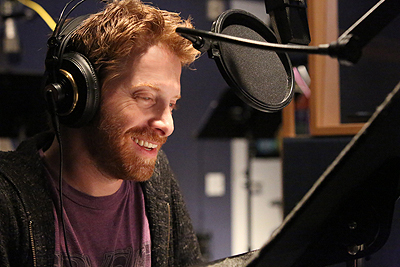 After voicing the surprise cameo of Howard the Duck in Guardians of the Galaxy, Seth Green is on a roll and next will voice another cultural icon: Leonardo in Nickelodeon’s hit animated series “Teenage Mutant Ninja Turtles.” Check out a clip from the season 3 opener along with a new image of the whole team below! 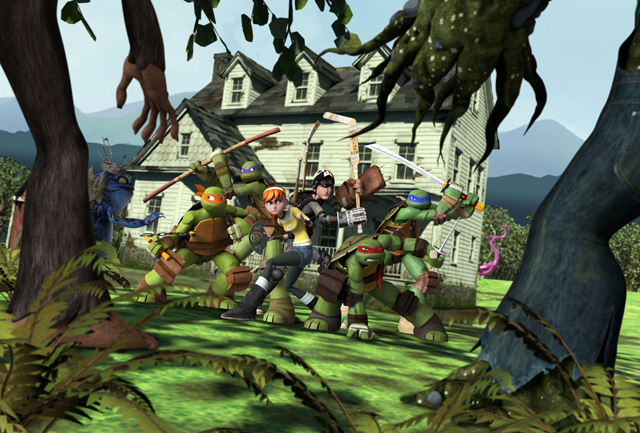 Previously voiced by Jason Biggs in season 1 and most of season 2 (where he was briefly voiced by Dominic Catrambone), Leonardo serves as leader for his three heroes in a half shell brothers Donatello (Rob Paulsen), Raphael (Sean Astin) and Michaelangelo (Greg Cipes) as they battle an alien force called the Kraang and their arch enemy Shredder, leader of criminal ninja group the Foot Clan. Season 3 of “Teenage Mutant Ninja Turtles” premieres this Friday, Oct. 3 at 8:00pm (ET/PT) with an episode titled “Within the Woods,” where the team comes to grips with the possibility that Leonardo won’t get better, while things only get worse: a new mutant captures Raphael.